When I’m asked to describe my blog, I say that I’m partly a fashion blogger, but this is the first time I’ve done an outfit photo. Can it still be classed as an outfit photo when the only things I’m wearing are a dress from the collection Jasmine Guinness did a few years ago for the now defunct Oli (such a shame!) and a Swarovski necklace that Alex bought me on a business trip? 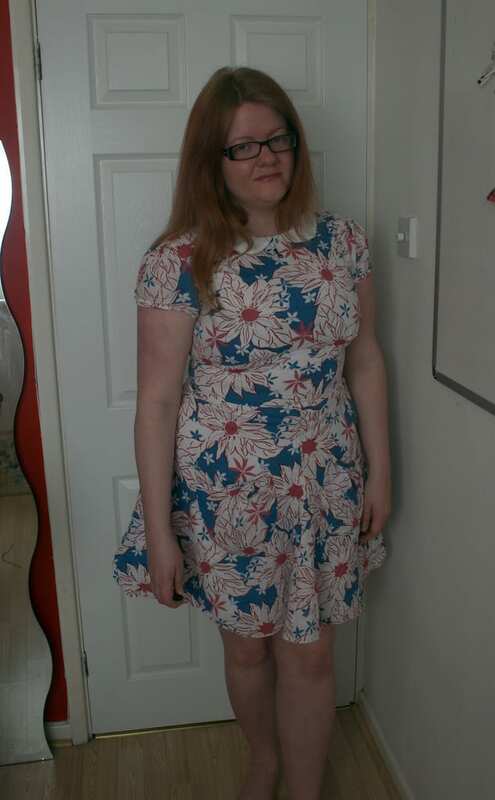 Anyway, please do forgive the awkward posing (this was the best of a bad bunch of photos – how do people do this every day?!) – if you have any secrets and tips on how to do the most flattering photo, please let me know! 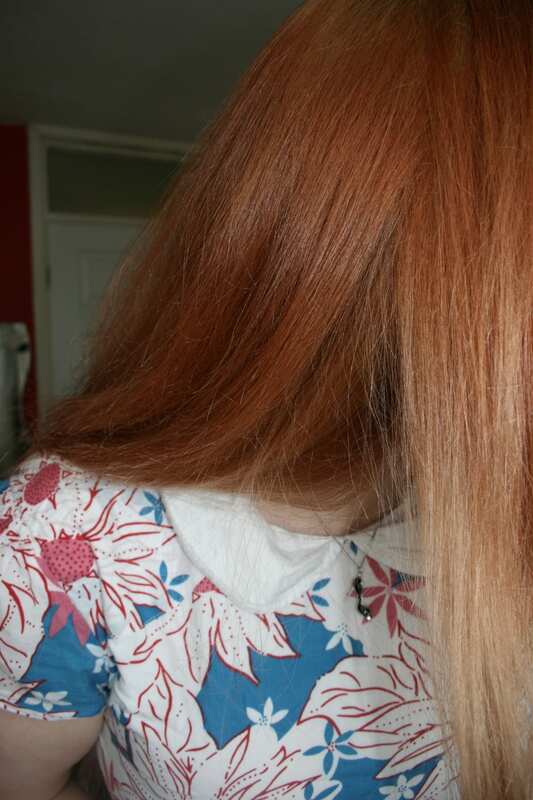 My hair is now officially ginger. Ish. I’ve been washing with Vosene and Head&Shoulders in a vague attempt to try and wash out the red (“semi -permament” – ha!) and this is the current state. Its not that bad I guess. Maybe. My best friend Helen decided to randomly send me two books by our favourite artist Kurt Halsey – they’re both full of his artwork, which is lovely to browse through. I love reading Wild Olive for all her crafty goings on, and these jelly bean patterns (both embroidery and paper printouts) are so cute! Kate Middleton For The Win. Love it! Zoey has started a blog, yay! It has the best name – Daisy Gin – thats actually a cocktail. I must try it! I love this summer dress tutorial by schwurlie – its been added to my ever growing to craft list! Today marks the end of Lent and my self imposed Facebook ban. Despite using Facebook on a daily basis previously, I really didn’t find it difficult after the first day or so of remembering not to look at it! The only things I would have liked to use it for were to see photos of an event my stepmum organised and to message those friends who are hopeless with email or phone calls (you know who you are, wife) Next year I need to find something more difficult! I think thats it for now! How are your long lazy weekends going – and how many of you have the whole 11 days off? That is a v pretty dress! I am doing the same – using vosene & H&S,semi-perm dyes stay forever in my hair! Yay, an outfit post! I love them – and your dress is gorgeous! I’m so disappointed tho – I didn’t know Oli was gone! I absolutely loved them for swimwear. They’ve been absorbed into Freemans, who owned them anyway (I think), so you can still buy stuff! I love that dress, you look fab! I love this dress! And I love the ginger – it’s kind of apricot-y in that picture, which Amy would approve of. Moar outfit posts plz! Brilliant, I used to lust after that dress a couple of years ago, but I wasn’t sure if it went with my ginger hair. You’ve basically proved it does work (especially as you’re a similar shape to me :D). Now to find it on ebay.